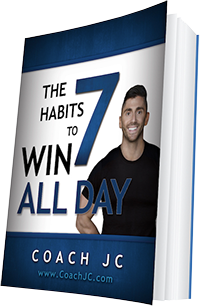 Today’s WINNING recipe to meet Coach JC’s 10 WINNING Habits is Spicy Roasted Cabbage Wedges. Where are my veggies? Wisk together oil, salt, pepper, garlic powder, red pepper flakes, Dijon mustard and sun-dried tomatoes. 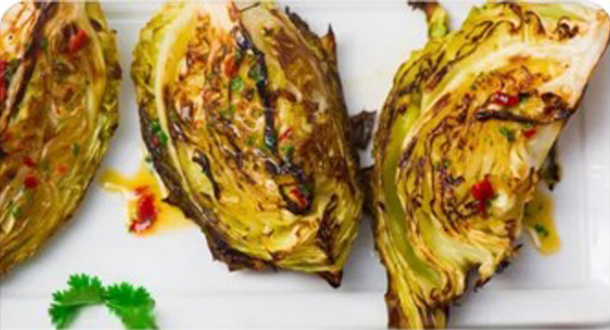 Brush all sides of cabbage wedges with oil mixture. Place wedges on a large baking sheet. Cover wedges with foil and roast 45 minutes. Remove foil and roast an additional 10 minutes or until golden and fork tender. If desired, garnish with whopped cilantro.